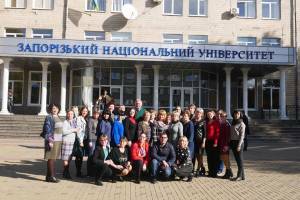 A number of training seminars for professors of the Ukrainian language and literature were held on the Faculty of Journalism on October 30. 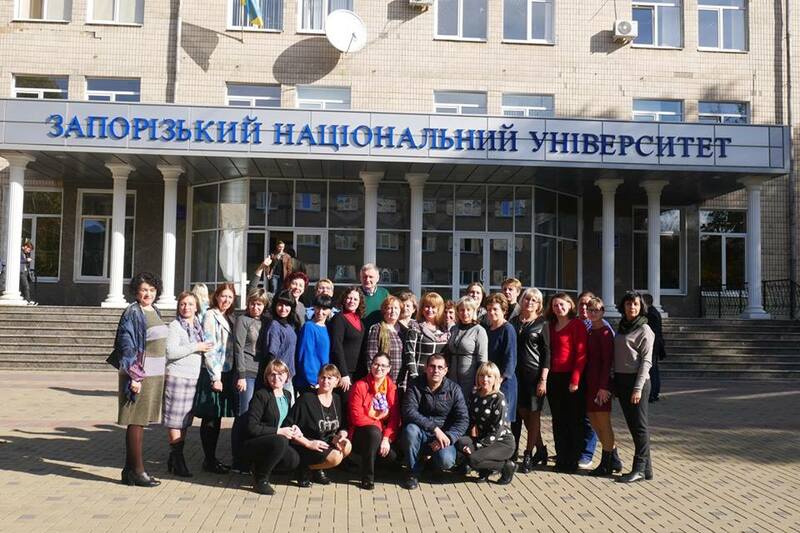 They were dedicated to the formation of media culture of the professor of the Ukrainian language and literature in the context of the emergence of a new Ukrainian school. 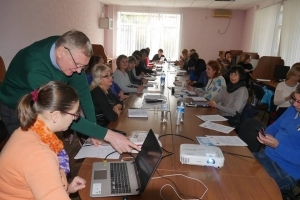 These seminars were organized by representatives of the Faculty of Journalism with the support of the Press, Education and Culture Department of the US Embassy in Ukraine and the South Center for Media Literacy. 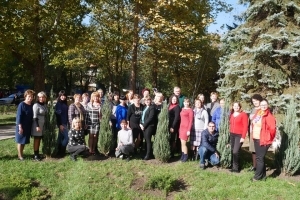 The event was attended by teachers and professors of the Ukrainian language and literature of Zaporizhzhia schools, dean of the Faculty of Journalism Viktor Kostiuk, assistant of Attache of the US Embassy in Ukraine Vira Maksymova, Ph.D. in social communications, associate professor of journalism, deputy dean for international cooperation and project management Kateryna Sirinok-Dolharovaand media expert Oleksandra Usenko. 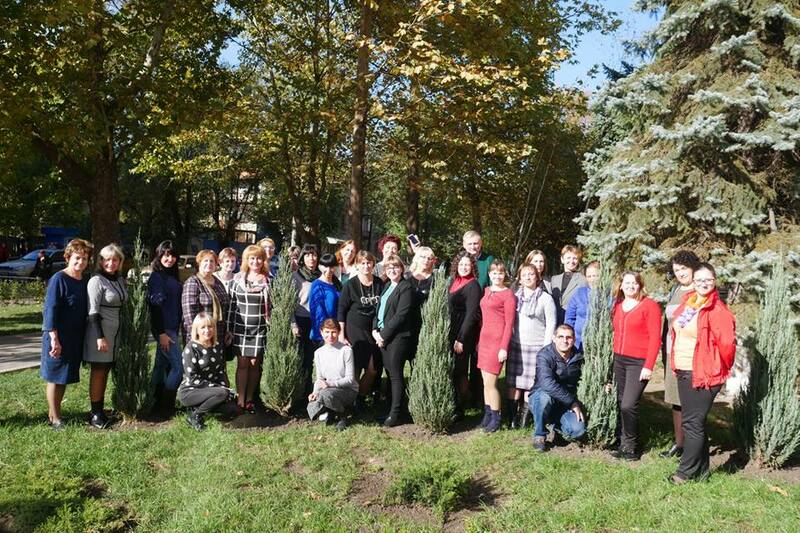 During welcoming the participants of the training, assistant of Attache on Culture of the US Embassy in Ukraine Vira Maksymova noted the effectiveness of cooperation with the Faculty of Journalism, an example of which is the media education training for professors. She also mentioned the importance of the work of teachers with schoolchildren in shaping media culture, critical thinking and infor mation verification skills. The representative of the Embassy told about grant opportunities for participation in exchange programs and project activities for teachers. 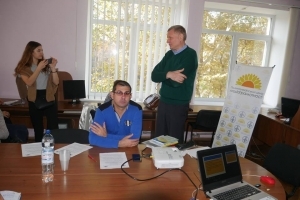 Thus, during the training “Forming media culture skills of schoolchildren at the lessons of the Ukrainian language and literature”, which was conducted by Dean of the Faculty of Journalism Viktor Kostiuk, the participants were introduced to modern educational technologies in the pedagogical activities of a teacher-philologist. According to the words of Viktor K ostiuk, the main task of media culture is the formation of the correct perception of information and critical thinking. He also drew attention to the features of the organization of media education at school, which can unite teachers and help in the system of educational work with children and parents. Viktor Volodymyrovych noted the importance and necessity of holding the School Media Festival and invited teachers and schoolchildren to join this event. During the meeting, such issues as the potential of educational work, educational technologies and their components, information sources, standards of media literacy were considered.